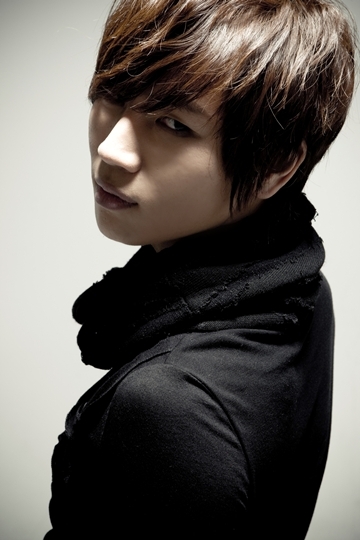 Singer K.Will is back this November with his official second album ‘Miss, miss and miss’. After his big hit on the song ‘Love 119’, he has become one of the busiest singers as he also succeeded with ‘Dropping the tears’ and ‘One teardrop per second’ continuously. It has been one year and eight months since he released his official first album ‘Left heart’ in 2007. K.Will is quite confident about his second album, which has eighteen tracks. When you listen to K.Will’s album you’ll just get a sense of how much effort he put into his vocal. There wasn’t any striking change in his tone or singing style, but he adjusted his voice a little in order to become a better ballad singer. “There are fads and formulas to succeed in ballads, too. ‘Miss, miss and miss’ is a song that excluded all those things. But with the matter of authenticity, I can proudly say that this song is the best. I want people to feel just how I felt when I first listened to the song,” he wished. “At first when I started singing, I’ve heard comments like ‘Ballad is really not your thing’ or that I’m not good at expressing Korean feelings. But I think I’ve improved through the song ‘Left heart’. I was very unstable when I was singing ‘Dropping the tears’ as it was a first ballad song after ‘Left heart’. After that song, however, I became quite assured as a ballad singer. Not so many times, but K.Will’s experience of going out on big variety shows like ‘Radio Star’ and ‘Infinity Challenge’ made his face widely known to general public. K.Will is going to see one of his dreams come true. On the upcoming Dec 25th, he will have his own concert for the first time after his debut. Thanks for the info. It’s very hard to get kwill’s story.